How many parents are bracing themselves for nightly battles to get their kids to finish their homework every year with the beginning of a school year? Thousands and thousands of them. Though not in Finland. The truth is that there is nearly no homework in the country with one of the top education systems in the world. Finnish people believe that besides homework, there are many more things that can improve child’s performance in school, such as having dinner with their families, exercising or getting a good night’s sleep. There are different homework policies around the world. The Organization for Economic Cooperation and Development (OECD) keeps track of such policies and compares the amount of homework of students from different countries. For example, an average high school student in the US has to spend about 6 hours a day doing homework, while in Finland, the amount of time spent on after school learning is about 3 hours a day. Nevertheless, these are exactly Finnish students who lead the world in global scores for math and science. It means that despite the belief that homework increases student performance, OECD graph shows the opposite. Though there are some exceptions such as education system in Japan, South Korea, and some other Asian countries. In fact, according to OECD, the more time students spend on homework, the worse they perform in school. Finnish education approach shows the world that when it comes to homework, less is more. 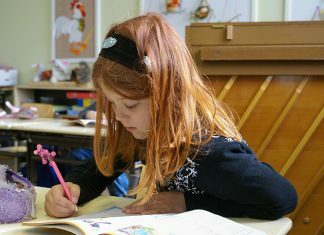 It is worth to mention that the world has caught onto this idea and, according to the latest OECD report, the average number of hours spent by students doing their homework decreased in nearly all countries around the world. So what Finland knows about homework that the rest of the world does not? There is no simple answer, as the success of education system in Finland is provided by many factors, starting from poverty rates in the country to parental leave policies to the availability of preschools. Nevertheless, one of the greatest secrets of the success of education system in Finland is the way Finns teach their children. How to Teach Like The Finns? There are three main points that have to be mentioned when it comes to the success of education system in Finland. First of all, Finns teach their children in a “playful” manner and allow them to enjoy their childhood. For example, did you know that in average, students in Finland only have three to four classes a day? Furthermore, there are several breaks and recesses (15-20 minutes) during a school day when children can play outside whatever the weather. According to statistics, children need physical activity in order to learn better. Also, less time in the classroom allows Finnish teachers to think, plan and create more effective lessons. Secondly, Finns pay high respect to teachers. That is why one of the most sought after positions in Finland is the position of a primary school teacher. Only 10% of applicants to the teaching programs are accepted. In addition to a high competition, each primary school teacher in Finland must earn a Master’s degree that provides Finnish teachers with the same status as doctors or lawyers. High standards applied to applicants for the university teaching programs assure parents of a high quality of teaching and allow teachers to innovate without bureaucracy or excessive regulation. Thirdly, there is a lot of individual attention for each student. 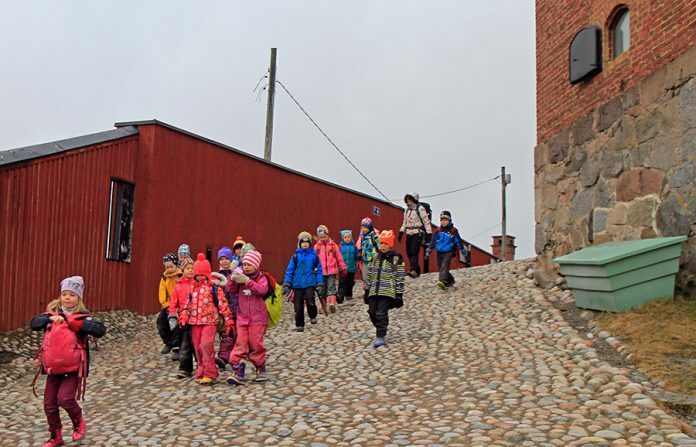 Classes in Finland are smaller than in the most of other countries and for the first six years of study, teachers get to know their students, their individual needs, and learning styles. If there are some weaker students, they are provided by extra assistance. Overall, Finnish education system promotes warmth, collaboration, encouragement, and assessment which means that teachers in this country are ready to do their best to help students but not to gain more control over them. The combination of these three fundamentals is the key to success of any education system in the world and Finns are exactly those people who proved by way of example that less is more, especially when it comes to the amount of homework. Education in Finland — reviews and articles.